Canton: Marcus Neiman & The Sounds of Sousa Band will appear in concert at Northwest High School Puffenberger Hall, 8580 Erie Avenue NW, Canal Fulton 44614 on Sunday, April 27th, 3p. Parking is available throughout the area at no charge and there is no admission charge for this concert. 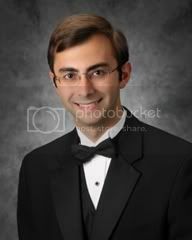 Marcus Neiman will bring his Sounds of Sousa Band to Northwest High School in their second performance in the last two years. The ensemble was created by Neiman in 1994 in an attempt to recreate concerts in the style of the great band director John Philip Sousa, who started his first professional concert band in 1894. Neiman’s current edition of The Sounds of Sousa Band is composed of 60 of the finest professional wind and percussion players in Northeastern Ohio. The ensemble has performed for over 500,000 since it’s first concert and has been featured throughout Ohio in halls large and small. 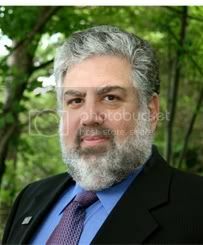 Neiman has performed throughout the United States and traveled to Russian in 2004 to lecture on American bands and John Philip Sousa at the University of Moscow and conduct the Volga Concert Band in Saratov, Russia in October of 2004. Sharing the conductorial duties for the band will be Lake Local Schools’ band director Mark Tryon who serves Sounds of Sousa Band as associate conductor of Sounds of Sousa Band and guest saxophone soloist, Northwest High School band director, Kim Good. Kim Good, pictured at right, teaches instrumental music in the Northwest Local School system. She directs the sixth grade band, seventh grade band, and Northwest High School Jazz Ensemble. She is assistant director for the marching band and high school symphonic band. She also teaches small group lessons to students in grades 5-12. Kim is a graduate of Lake High School in Hartville, Ohio. She holds a bachelor of music education degree from the University of Akron and a master’s in music education from Ohio University. She is a member of the Ohio Music Education Association. Kim is a freelance saxophonist and has performed with The John Trapani Big Band, Swing Machine, The Bob Hill Orchestra, The Tuscarawas Philharmonic, Canton Concert Band, The Sounds of Sousa Band, Bethel Temple Praise Band, and with the Motown sensations, The Temptations. She also has performed in many pit orchestras for local high schools, the Players Guild, Kent State Stark Theatre, and Goodyear Theatre. She also has a private studio where she teaches saxophone, clarinet, and flute. 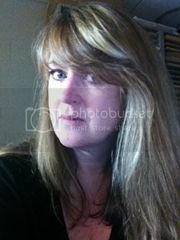 Kim resides in Zoar, Ohio with her husband Darin, a percussionist, and their son Helber. Frank T. Cosenza (pictured at right), associate conductor and trumpet player. Frank has been heavily involved in music since the age of eight when he began studying the trumpet. A native of South Euclid (OH), he has performed in many, many varied venues, including Severance Hall and Blossom Music Center (home of the Cleveland Orchestra) to The Cleveland Palace and State Theaters, Nautica Stage and a host of churches. He has taken his talents to Europe performing concerts in many different countries as well as numerous big bands, pit bands, orchestras and concert bands in Northeast Ohio. He has had the opportunity to play under several noted conductors including Leonard B. Smith, Frederick Fennell, and Loras Schissel. He received a talent scholarship and went on to earn his bachelor of music degree from Bowling Green State University and a master of music degree from The University of Akron. He is a veteran band director of 32 years and retired from the West Geauga Local Schools where he was a four time recipient of the school districts’ prestigious Excellence in Education Award. He was called from retirement to serve as interim director of the Kent State University Athletic Bands/Concert Band for the 2012-2013 academic year. His high school bands have performed at Severance Hall for the Northeast Ohio Wind Band Invitational, the Ohio Music Education Association (OMEA) State Conference, the American School Band Directors Association State Conference, Lincoln Center in New York City, and the Ohio School Boards Association Conference. Additionally, his bands have performed at the University of Akron Band Clinic, Hiram College, Cleveland Browns halftime, the Cleveland Indians and performances in Florida, Michigan, Georgia and Canada. Concert bands, under his direction, have received consistent superior ratings at OMEA large group adjudicated events. He has served on the Content Validation Panel for the National Board for Professional Teaching Standards and has been on the staff of American Music Abroad taking student musicians to Europe and performing in numerous countries. 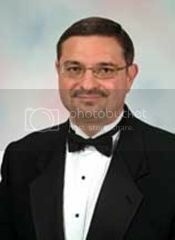 Frank is an elected member of Phi Beta Mu- International Bandmasters Fraternity and the American School Band Director’s Association. As a member of OMEA, he has served as state treasurer/trustee, district president, member of music selection committees, contest chair, and current adjudicator for large group and solo & ensemble adjudicated events. He has served as a clinician in Nevada and throughout Ohio and is currently an assistant director of the All-Ohio State Fair Band. From recitals, top 40s bands, orchestras, shows and backing up entertainers, he is at home to any style of music. His teachers included: Joe Hruby, Bernard Adelstein, Edwin Betts, James Stamp and Scott Johnston. Frank has an active trumpet studio and has prepared students for competitions and college auditions. He has performed as soloist with many bands and at churches. Frank also is an active brass adjudicator and has helped thousands of trumpet players with their performances. Frank is co-principal trumpet with the W.D. Packard Concert Band and Big Band Sound of Warren, and has played with many artists including Frankie Avalon, The Manhattan Transfer, Wayne Newton, Johnny Mathis, Holiday On Ice, and the Ringling Bros. Barnum & Bailey Circus. He is a Conn-Selmer artist. He is a founding member and featured trumpet soloist with Sounds of Sousa Band and his return to the group, with new duties to include associate conductor, are welcome by all! Mark Tryon, associate conductor, (left) is also a band director in the Lake Local Schools. He directs the Lake High School Marching Band, Symphonic Band, and teaches small group lessons in grades five through eight. He is a graduate of the University of Akron, where he earned degrees in music education and clarinet performance. He also served as a graduate assistant in bands at The Ohio State University where he earned a master’s degree in instrumental conducting. In addition to his conducting and teaching responsibilities, he is active as a freelance clarinetist, pianist, and organist, having performed with the Sounds of Sousa Band, Blossom Festival Band, Lakewood Hometown Band, Canton Concert Band, and Silver and Strings Trio. He is a member of the Ohio Music Education Association. He resides in North Canton with his wife, Colleen, a clarinetist, and their sons, Calvin and Daniel. Marcus L. Neiman, (pictured at right) artistic director and conductor, retired from posts held with the Medina County Schools Educational Service Center in 2010 (1980 through 2000 as fine arts consultant and 2000 through 2010 as director of fine arts tours and festivals). He was formerly director of bands at Medina High School (1972 through 1980). He attended the Akron Public Schools, received his bachelor of science in music education degree from The University of Akron, master of music in music education degree from The University of Michigan, postgraduate hours at The Kent State University, and The University of Akron. He was appointed as the interim assistant director of bands and administrator for the division of bands at the Hugh A. Glauser School of Music at Kent State University in May of 2010 for the academic year 2010-11. In addition to his duties with the division of bands, he also teaches their “Music Teaching as a Profession,” “Instrumental Methods for Choral-General Music Majors,” courses and supervises music education student teachers. His duties as include program development and outreach. Prior to that, Neiman was appointed to the position of part-time lecturer in January of 2004 for the music department at Case Western Reserve University with major responsibilities of teaching their “Foundations of Music Education” course and supervising music education student teachers and reserved in that post until the Spring of 2010. Neiman has served The Ohio Music Education Association (OMEA) as a member of the governmental relations and adjudicated events committees, district president, vice-president, state chair for Music In Our Schools and public relations, state editor of their professional journal TRIAD, and state chair for their council of supervisors. He was elected by OMEAs membership to serve as state president from July 1, 1998 through July 1, 2000, and is currently OMEAs state historian. He was awarded OMEAs highest honor, the “Distinguished Service Award” on January 29th, 2010 at the Professional Development Conference in Cincinnati, Ohio. Neiman has been published in Music Educators National Conference journal MEJ, The Instrumentalist, The School Musician, The Music Educator, OMEAs TRIAD, FANFARE magazine, and Bands of America Newsletter. His first book, edited for MENC, entitled Life in the Music Classroom, was published by MENC in April 1992. He is listed in Marquis “Who’s Who in America (58th Edition). Neiman has appeared with junior high/middle and high school, college and university, community bands, and American Federation of Musicians union professional bands as a guest conductor and in his characterization of famed bandmaster John Philip Sousa in Illinois, Indiana, Ohio, Michigan, New York, North Carolina, Pennsylvania, (state of) Washington, and Wisconsin. On October 15, 2004, Neiman conducted the Volga Concert Band in Saratov, Russia in a Sousa-style concert following a week’s residence in Moscow and Saratov. In addition to conducting the Medina Community Band (since 1973), he formed his own professional touring band -- The Sounds of Sousa Band -- (in 1992) to commemorate the 100th anniversary of the formation of Sousa's first non-military band. To this date he has performed for over 200,000 people in the role of Sousa. Neiman is a member Local 24 (Akron), American Federation of Musicians. Neiman continues to conduct Medina Community Band, having served as the conductor longer than any other of the organization’s conductors (since the 1973 season), his goal has always been to preserve the presence and character of the traditional “town-band.” Over the years the band has commissioned works by Douglas Court, Robert Feldbush, Stuart Ling, Edmund J. Siennicki, Tadd Russo, and David Shaffer. When John Philip Sousa played his final concert with The United States Marine Band in the late 1890s, one newspaper reporter commented that “the skies opened up and cried as our little band director played his final concert on the White House lawn for a huge crowd of well-wishers. Their umbrellas sprung up like black mushrooms as the rain continued and the band played.” They certainly don't write like that anymore, do they? Sousa took a huge chance leaving the security of his military commission and directorship of the United States Marine Band. Yet, David Blakely, manager for such great ensembles as the Philadelphia Symphony Orchestra, (Patrick) Gilmore Band, and others, encouraged Sousa that he would become a wealthy man. Blakely was right, but it took at least one name change (from The New Marine Band, which the U.S. Congress didn't appreciate), to the final and more lasting name of simply, The Sousa Band, to get the entire process in motion. To celebrate the 100th anniversary of Mr. Sousa's starting his first professional band in 1892, Marcus L. Neiman decided to organize a professional level concert band in Northeastern Ohio capable of performing throughout the state and nation. His goal, simply stated, was to produce a band capable of bringing the sights and sounds of John Philip Sousa to a new generation of listeners. Thus was born Marcus Neiman & The Sounds of Sousa Band. The ensemble, called the great band from Ohio's Western Reserve, is the only professional touring concert band in Northeastern Ohio. Encouraged by life-long friends Mike Hadgis and Richard Keel, then both officers of the Akron (Ohio) American Federation of Musicians Local 24. With the help of his wife, Mary Ann, the two began recruiting members for the ensemble. The criteria was simplistic: (1) the finest wind and percussion players in the area; (2) a dedication to reproducing the music of the Sousa era; and, (3) the ability to be a team player and work for the general good of the band. In 2009, due in part to the changing economic times, the ensemble moved from an all-union ensemble to a non-union ensemble. The ensemble is currently in a reorganization process and rehearsing monthly. Concertizing in the Cincinnati area encouraged the Neiman's to use the same formula “down south” to recruit another roster of superior players. To date, the entire Sousa Band roster boasts a membership of well over 125 musicians from across the state of Ohio. The majority of the members of the ensemble are professional musicians, orchestra players, school instrumental music directors, or studio musicians. Almost all are capable of, or have performed as a soloist with Sounds of Sousa. “Our goal has been, and will continue to be to entertain our audience,” Neiman commented. We have expanded our operation from simply playing summer venue concerts to a full year season of engagements, educational concerts, as well as guest appearances. The band has performed in 33 of the 88 counties in Ohio, and in Indiana, Kentucky, New York, North Carolina, Ohio, Pennsylvania, (state of) Washington, and Wisconsin. The ensemble has performed engagements for an estimated 500,000 people.